Atlantic Lift Systems has been a family owned business since 1988, though our roots in the material handling industry extend back to 1965. We have learned over time, each client requires a specific set of solutions based on multiple factors: industry standards, their specific operation and the goals the organization has set at any specific time. 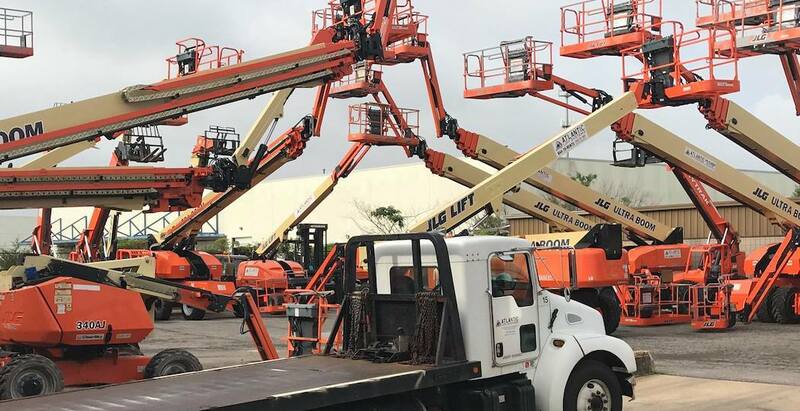 Over the years this has grown to include forklifts, aerial equipment, industrial cleaning equipment, burden carriers, racking, industrial batteries & chargers, industrial lighting, dock levelers and doors, high volume fans, automated guided vehicles and many other products designed to meet our clients needs. All of these products are supported by our factory trained technicians and our surrounding dealer network. We rented a small lift system to help an electrician help hang lighting fixtures in very tall spaces. The entire process was incredibly easy and so impressed with the outstanding customer service!!! Thank you again Atlantic Lift Systems, we will use you again and highly recommend you to others!